Hi, I'm currently working on a 2D platformer, with slopes, something like the 2D Sonic games, I have everything going fine, got the simple things set up. 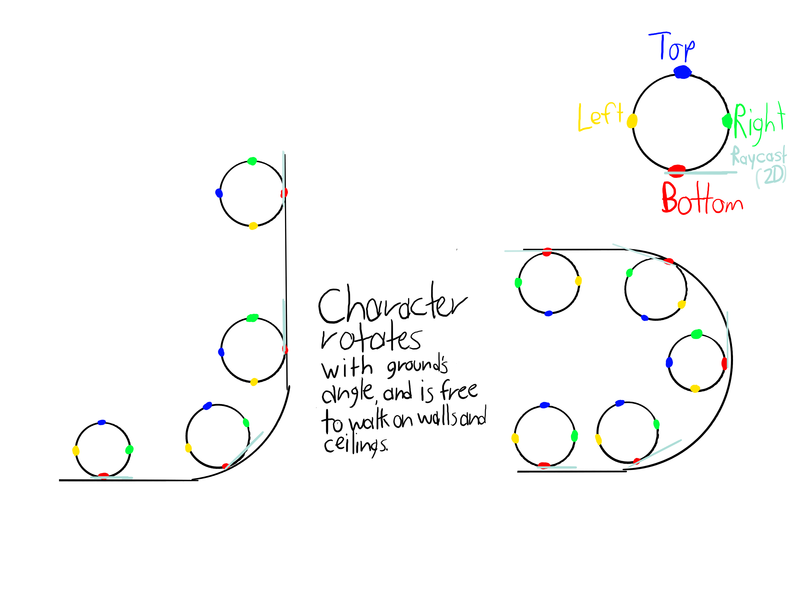 I just need some help with rotating my character with the slope's/ground's angle, essentially a 360º Movement Engine, letting the player walk on slopes, walls, and ceilings. I'd also like it if someone knows how to manipulate the character's jump velocity depending on the angle it's currently on. So, help would be appreciated. 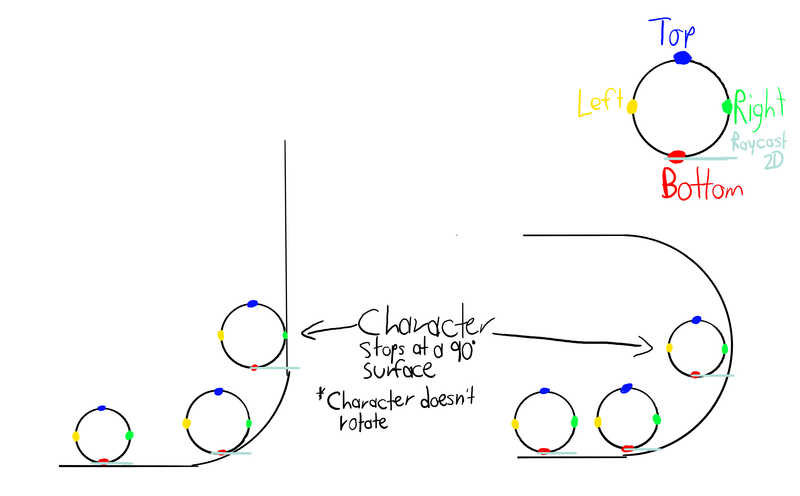 Keep in mind that I'd prefer to freeze the rotation on my character's RigidBody2D, and that I'm using Raycasts to detect the slopes, as seen on the rough drawings.